His real name is Caylus Cunningham, but on YouTube, he’s almost exclusively known by his channel name: Infinite. Cunningham has only taken YouTube seriously for about two years (his channel hit 100,000 subscribers back in 2016), but in that short time, his incredibly popular flip trick and reaction compilation videos have garnered him close to seven million subscribers and nearly one billion views. Now 21, Cunningham has recently signed on with network BroadbandTV, is looking at expanding his merch lines (he currently sells Infinite-branded clothes and more through Fanjoy), and is eyeing YouTube’s rare 10 million subscriber diamond Play Button. As he grows closer to passing that coveted threshold, he’s joining Tubefilter to look back at where he started — and when he realized YouTube could be much more than his hobby. Tubefilter: What did you set out to do with your YouTube channel when you started it? Did you have a plan for where you wanted it to go? Caylus Cunningham: When I started making YouTube videos, it was mostly for fun. Made funny videos with friends and family. I never actually set out to be a YouTuber until the end of 2016. When I changed my channel to “Infinite Lists” I was trying to get big on YouTube but never actually thought it was possible. After a couple weeks of posting on that channel, it blew up more than I would’ve ever thought. TF: When did you get your first check for online video revenue and how much was it? CC: My very first check was in the very beginning of 2016. It was for about $200. At this point I obviously couldn’t make this my main source of income so it was just a fun side hobby for me. I was working at a pizza place called Papa Murphy’s. I was earning about $1,000 a month at Papa Murphy’s. The extra $200 a month from YouTube was nice and all, but nothing I could live off. 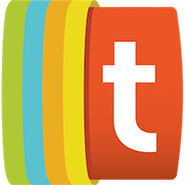 TF: When was that Semaphore Moment for you–the time you first realized you were a professional creator? CC: I first realized I was a professional creator quite recently actually, within the last several months when I upped the quality of my video production way higher than it’s ever been. I hired an editor for all my videos. If a video doesn’t meet my standards, I won’t upload it. I try and always produce funny and entertaining content daily. I’ll also sometimes tell my editor to re-edit parts if it isn’t how I want it. I definitely did not used to do that a year or so back. TF: What made you want to do reaction videos? CC: What attracted me to reaction videos was that I could put my own thoughts and opinions on any topic. Also reacting to certain things can never die off. New trends come out all the time, and people always love to see others’ opinions and thoughts on the topics. TF: Similarly, when did you first realize merch was something your audience wanted? 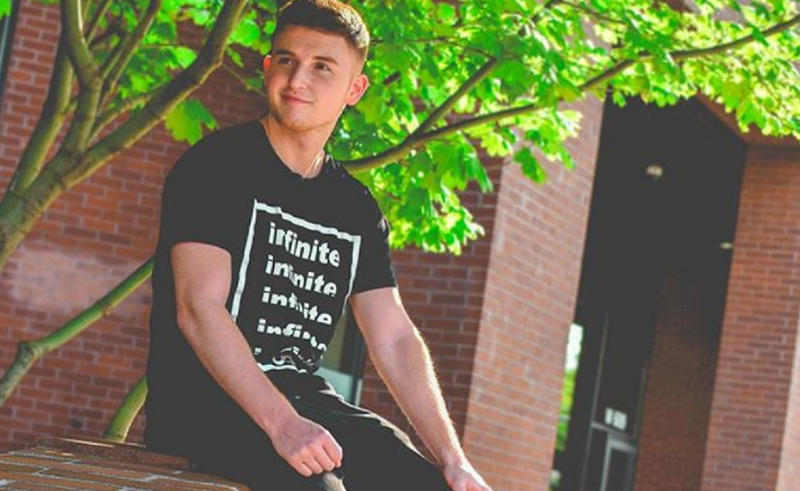 What was it like knowing people wanted to sport the Infinite brand? CC: I realized people wanted merch when a big part of the comments were saying things like “you should have merch of your own” and “I’d wear merch if you made some.” This definitely made me want to start my own brand of merch. I started selling merch around the beginning of 2017 when I had about one million subscribers. TF: How involved are you in designing your merch? Any plans to expand your offerings? CC: I started designing the merch I have myself because I personally have grown up being a pretty good drawer. My dad is an actual artist, so I got some art skills from him. I’ve always loved designing logos and such, so when I noticed I could put out a merch line, this had me really excited. I had some help from some people to get the perfect logo for my brand. I definitely want to expand merch. I’m currently trying to have joggers put into my store. I’ve never had anything like that before. I’m always trying to think of new ways to expand the brand. TF: Have you built out a team? How many people work with you behind the scenes? CC: I don’t have too much of a team behind the scenes. A couple months back I actually did everything myself, video-wise. Editing, thumbnails, video production, all that. I recently partnered with BBTV. They have definitely helped me along the way, getting me into recent events such as Playlist Live, VidCon, and more. My team now would include me, my editor, my manager, and BBTV. TF: What’s your upload schedule? Are you planning on making any changes to it? CC: My current upload schedule is one video per day. I always try to get one video out no matter what. If I don’t get a video out, that means I am either traveling, or I didn’t like how the video edit turned out. I want to try and upload twice a day regularly. TF: What’s next for Infinite? What are you building toward? CC: My all-time goal for YouTube starting out was 100,000 subscribers. I surpassed that, and then my goal turned into one million subscribers. After passing that, I was obviously very shocked. Ten million subscribers is definitely my goal for 2019. I’m very lucky to be where I’m at. I also want to build my brand and style of videos to be different and unique from others’.